ALKALINE CLEANER is a water-based, alkaline cleaner for deep cleaning of greasy dirt and to remove organic residues, dark marks and oxidation, as well as to strip wax or old layers of wax or existing treatments. ALKALINE CLEANER can be used in combination with the SOLVENT STRIPPER for even deeper cleaning to carry out “double wax stripping”. 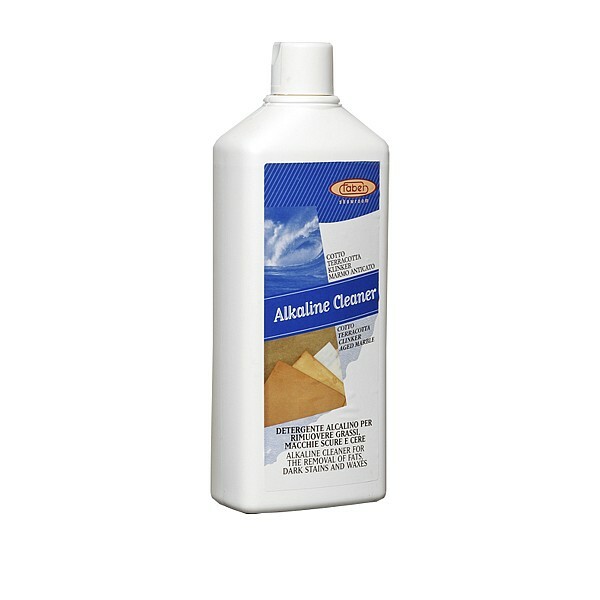 ALKALINE CLEANER is specifically recommended for cotto and terracotta surfaces, but it can also be applied to all alkaline-resistant materials wherever there is greasy dirt. ALKALINE CLEANER can be used to remove suction cup marks from ceramic surfaces, caused by processing and handling in industrial production environments.